Speaker of House of Representatives, Mr Yakubu Dogara. The Speaker of the House of Representatives, Mr Yakubu Dogara, says there is need to strengthen the Act establishing the National Agency for the Prohibition of Trafficking in Persons (NAPTIP). Dogara said the Act when amended will accommodate trafficking courts, membership of the Board of the Economic and Financial Crimes Commission, (EFCC). He stated on Monday at a two-day consultative confab with Commonwealth Parliamentary Association, CPA-UK delegation and other stakeholders by the House Committee on Inter parliamentary Relations in Abuja. He said there were prevalent incidences of rural-to-urban trafficking within Nigeria, in which women and children were trafficked for domestic, agricultural and industrial labour as well as sexual exploitation and street begging. According to the speaker, researches have also confirmed that parents, particularly from the northern parts of Nigeria, were forcing their children to engage in sustained begging for economic survival or daily sustenance. He said that the establishment of NAPTIP through the NAPTIP Enforcement and Administration Act, 2003, was one of the first decisive steps taken by the Nigerian Government to curb the illicit human trafficking enterprise. “In 2015, the Parliament passed an Act to amend the Law which increased the penalties for trafficking offences to a minimum of five years imprisonment, among others. “However, in spite of the various improvements in the Law, the envisaged effective apprehension and conviction of offenders have not been achieved. “This explains the need for the Trafficking in Persons Prohibition, Enforcement and Administration (Amendment) Bill, 2018. 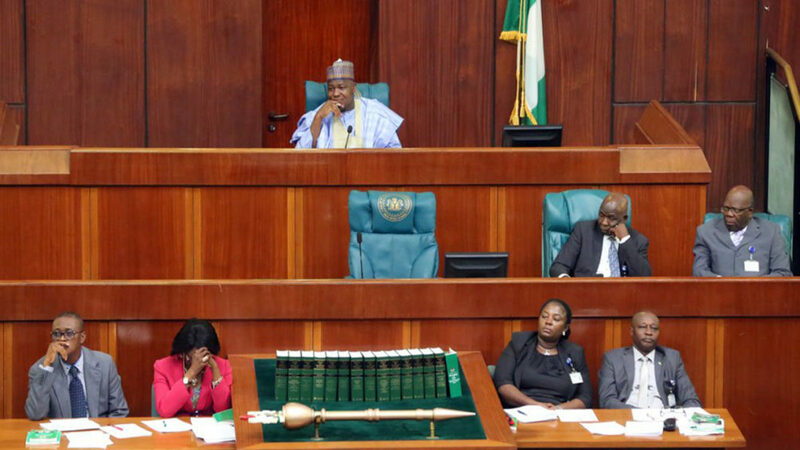 “The Bill, which seeks to amend the 2015 Act, will establish Special Trafficking Court, expand the composition of the Governing Board of NAPTIP by including members from the Economic and Financial Crimes Commission (EFCC), increase penalties and criminalise certain offences, among other provisions. “It is hoped that this Bill, when passed into law, will help to tame the hydra-headed monster of human trafficking, sexual exploitation and related offences. “I believe that the outcome of this Consultative Meeting will help to enrich the Bill and facilitate our victory in the war against trafficking in persons and other associated crimes. “I urge the stakeholders to be exhaustive in their submissions and deliberations so that together we can fashion a statute that will meet our expectations and the desired end,” he said. Ms Julie Okah-Donli, Director-General of NAPTIP said the agency had 6,000 reported cases and had so far treated 3,600 cases. “The agency has 10 Shelters across Nigeria and through its Protection programmes, rescued and rehabilitated 13,345 victims of TIP from inception, with a good number of them empowered with formal education and vocational skills for meaningful living. “Five victims rescued by NAPTIP have graduated from various universities, under the sponsorship of the agency. Three of the victims have been employed by NAPTIP. “The agency deploys proactive, reactive and disruptive investigation strategies toward a seamless prosecution of human trafficking cases. From inception to date, the agency has received over 6, 000 cases and investigated above 3, 600. “The agency has won 304 cases resulting in the conviction of 368 traffickers,” Okah-Donli said. She also said that the revocation of curses by human traffickers by the Oba of Benin, Oba Ewuare 11, had greatly helped in reducing the criminal trade in Edo. She said that the criminal trade had moved from the Southern part of the country to the Northern part of the country. According to the director-general, in some countries abroad, prostitution is legalised and one will find Nigerians from the both the Southern and Northern parts of Nigeria. She added that there was need to involve all the 36 state governors in combating human trafficking in Nigeria. Mrs Debbie Palmer, the Country Representative of Department for International Development (DFID said United Kingdom had donated over 3 million pounds for combating modern day slavery in Nigeria. She said that the 3 million pounds was in support of the returning of Nigerians from Libya and insisted that there was need to have an up to date legal framework to fight the complex and difficult issues of human trafficking in Nigeria. The representative of National Child Human Rights Commission, Mrs Fatima Ahmed, stressed the need to have a legal framework to preserve the inalienable human rights of the child in our human right laws. The Chairman, House Committee on Inter parliamentary Relations, Rep. Samuel Ikon, said that collective efforts were needed to re-address the various power imbalances and circumstances causing modern day slavery. “If we can collectively act to re-address the various power imbalances and circumstances causing modern day slavery in Nigeria with robust, potent and effective legislation as its guiding force,we can meaningfully toe the path toward human sustainability and a safe society for all,” he said.